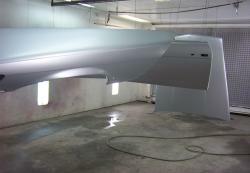 The body in base coat. 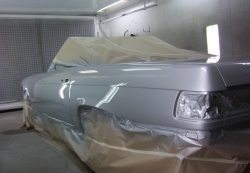 Clear coat applied. 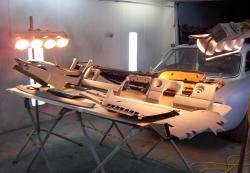 The panels were "based up" seperate Interior trim prior to painting. 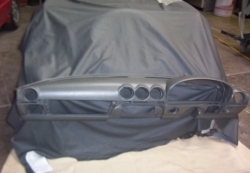 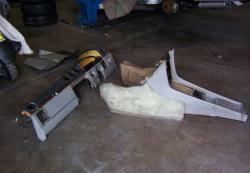 The trim panels that were not to be recovered were painted in a special trim paint that was matched to the leather. 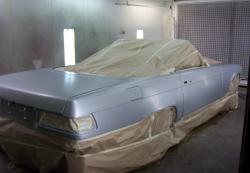 The dash after painting with the hide that will be used to re do the seats and interior. 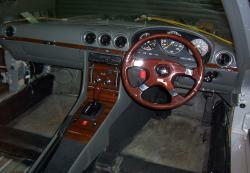 The steering wheel was replaced with this MOMO item the gear knob was also replaced. 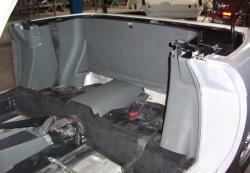 The interior was retrimmed in leather the seats are to be done as well.